Q. 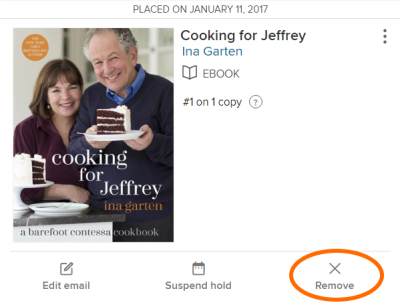 How do I cancel a hold on an ebook? In your library's digital collection, click or tap then select Holds.